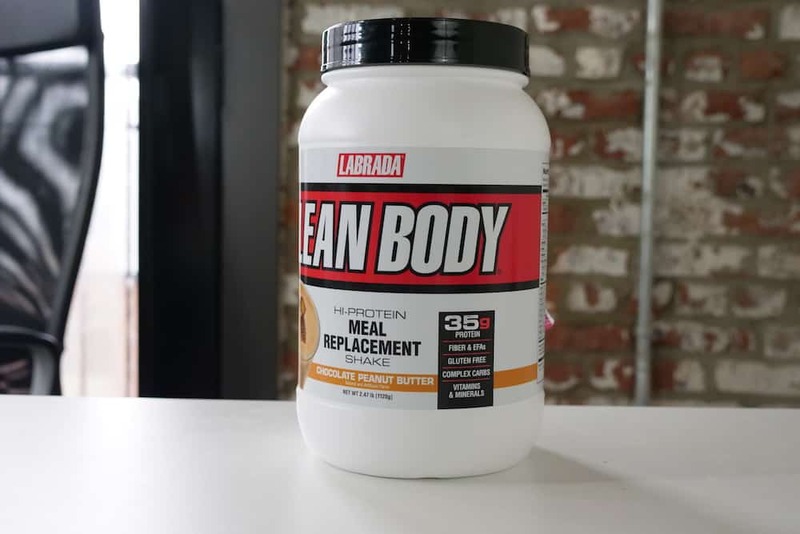 Home » Labrada Lean Body Review — Weight Loss or Muscle Gain? 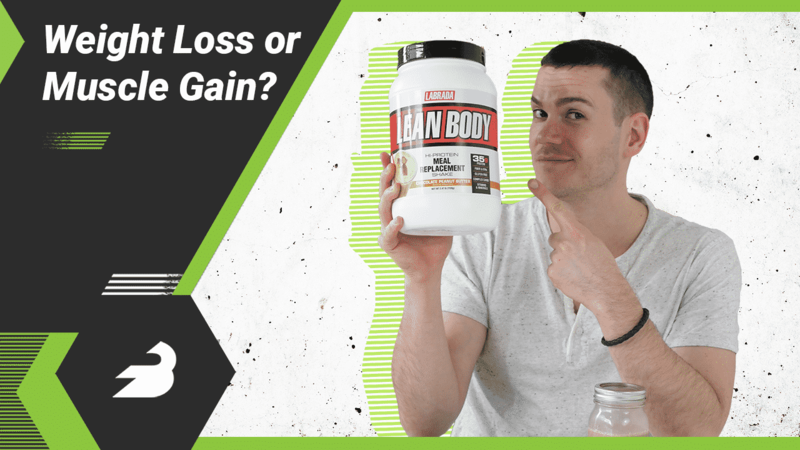 Labrada Lean Body Review — Weight Loss or Muscle Gain? 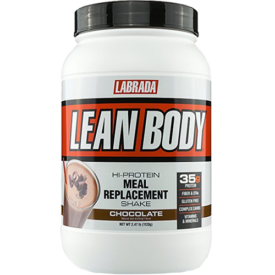 Labrada Nutrition is headquartered in Houston and was founded by former Mr. Universe Lee Labrada, who won the title in 1985. Their website has a lot of different media on it, including recipes, fitness articles, and a blog dedicated to female athletes. Let’s take a closer look at the Chocolate Peanut Butter flavor. One serving is two scoops, so 70 grams altogether. One serving provides 285 calories: 35 grams of protein, 20 grams of carbohydrates (6 grams of fiber, 4 grams of sugar), and 7 grams of fat (2 grams of saturated fat). It also provides 25 percent of your daily cholesterol and 17 percent of your daily sodium. As far as the rest of the vitamins and minerals go, a serving has about 35 percent of the RDI of most B-vitamins, vitamins A, C, D, E, and biotin. The minerals include copper, magnesium, iron, zinc, and iodine. A high protein meal replacement with a good macro split, a variety of micronutrients, and a solid hit of fiber. 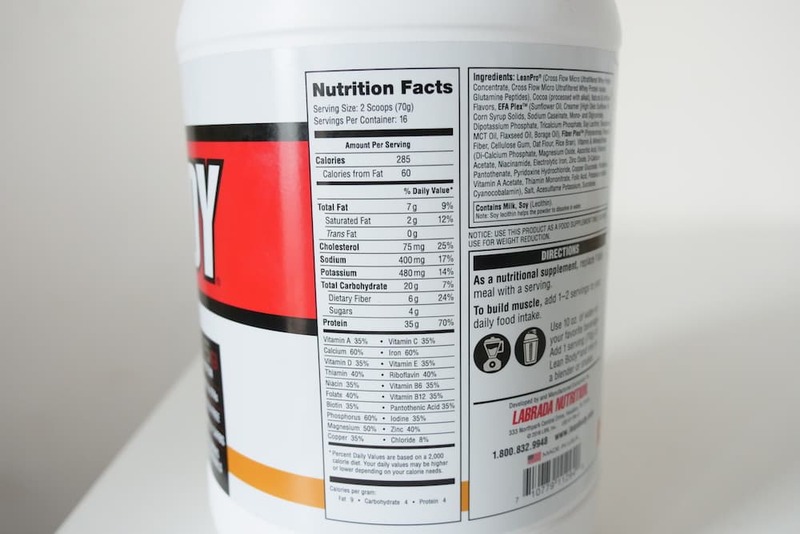 The ingredients show that the protein powder is mostly whey, cocoa, natural and artificial flavors and sweeteners (sucralose and acesulfame potassium) and salt. The ingredients also have an “essential fatty acid plex” that consists of mostly sunflower oil, MCT oil, and flaxseed oil, and there’s a “fiber plex” that includes oat flour, rice bran, cellulose gum, and “Fibersol® 2,” a combination of maltodextrin and soluble corn fiber. 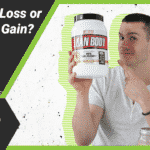 Lean Body made our list of the best meal replacement shakes for men — see who scored higher! The first thing I liked about this shake is that it’s higher in calories than a lot of meal replacement shakes, many of which are just 100 calories or less. At 285 calories, 35 grams protein, 20 grams of carbs and 7 grams of fat, this gets a lot closer to substituting the calories and macros of a meal than many of its competitors. Those calories and the 25 percent of the RDI of cholesterol and the 17 percent of the sodium RDI may not be desired by a lot of folks, but since many athletes (particularly bodybuilders) try to consume a fair amount of these nutrients, this may serve the niche’s audience. With regards to the rest of the micronutrients, there’s a pretty good spread here. It’s not amazing: it’s missing vitamin K, chromium, choline, and manganese, plus it’s a little low in potassium at 14 percent of the RDI. There’s also not much to talk about with omega-3 fatty acids, since none are listed in the nutrition label and there’s no fish or algal oil in the ingredients. But it’s hard to be too upset that this doesn’t contain every single nutrient the human body needs. It does a pretty good job — you just need to be OK with the soy and artificial sweeteners in the ingredients. You can pick up 16 servings of two scoops each for $37, so it’s $2.31 per serving. That’s a little pricy on a per serve basis, but on a per calorie basis it’s not bad, particularly since it has a little more nutrition than most of its cheaper competitors. You can also save a little cash by subscribing for regular deliveries. The Chocolate Peanut Butter flavor tastes like a rich, dark chocolate — but I didn’t get much of a peanut butter flavor. I still found the flavor really enjoyable. As a meal replacement for people specifically trying to gain or retain lean muscle, you could do worse then Lean Body. It has a moderate amount of carbs and fat and it’s a decent source of fiber as well. It’s missing a few vitamins, it has artificial ingredients, and there are no digestive enzymes or probiotic bacteria. But if you’re comfortable with all that, this is a pretty nutritious shake.